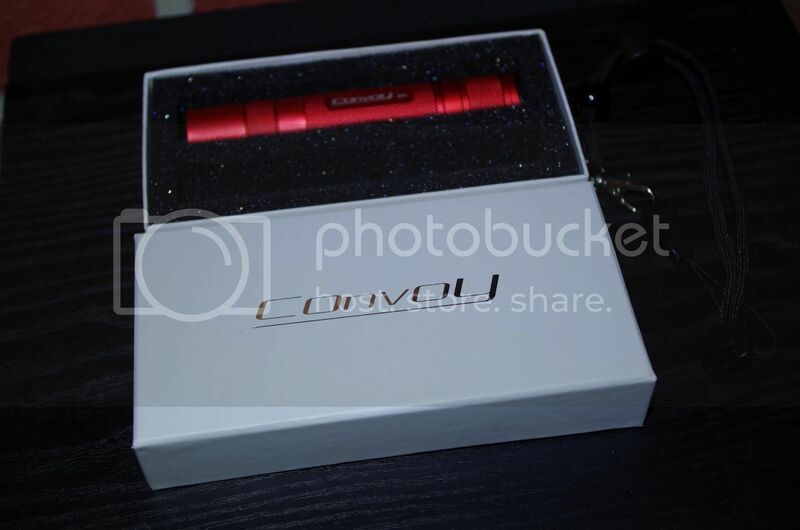 This light was supplied for review by Simon @ Convoy flashlights. 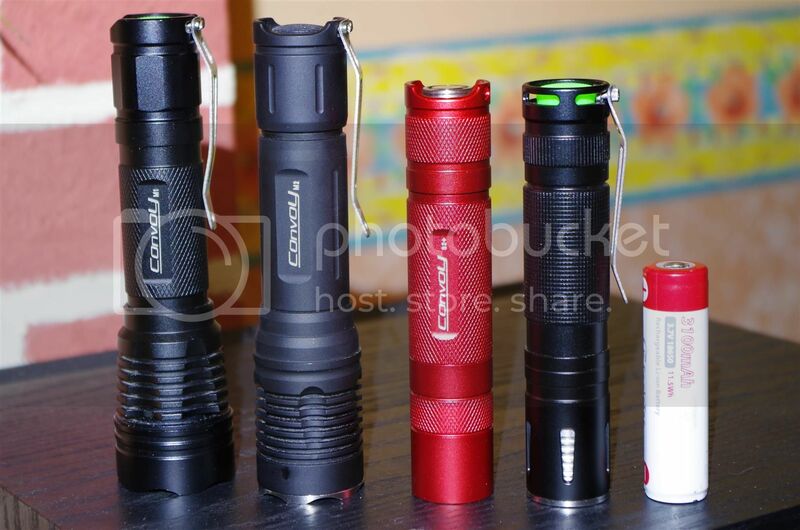 The S2+ is an ideal and brilliantly capable EDC torch. With only one tiny minus that is doesn’t come supplied with a pocket clip (but can be ordered separately). Quality, construction, performance and ability all easily exceed its price point. And to date, this S2+ has probably the best switch I’ve used on a flashlight yet. Oh, and I adore the colour. The S2+ with some of its fellow Convoy models. I like to keep my reviews fairly informal and not overly technical. There are plenty of talented people with fancy measuring devices to offer more technical detail. What I want to do is give an honest appraisal of owning and using this torch, and what a regular punter will make of it. The S2+ like many of the S series Convoys came in a nice box with foam cut-outs. 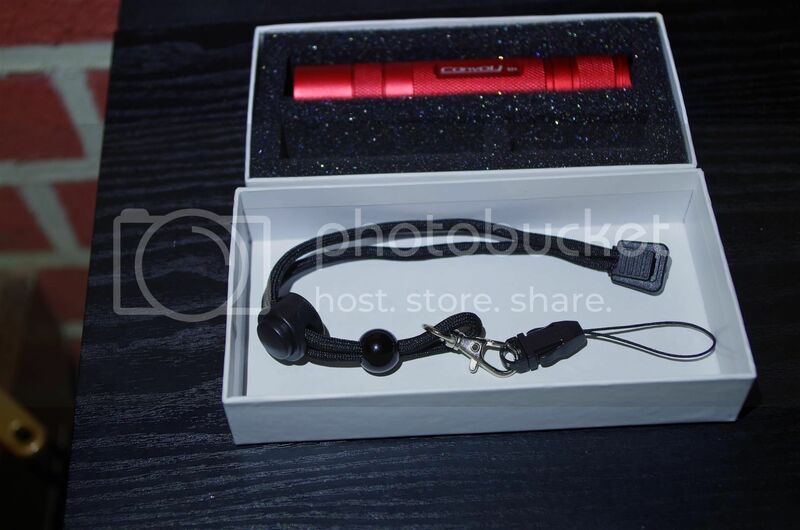 In the box is the S2+ and a sturdy looking multi-link lanyard. 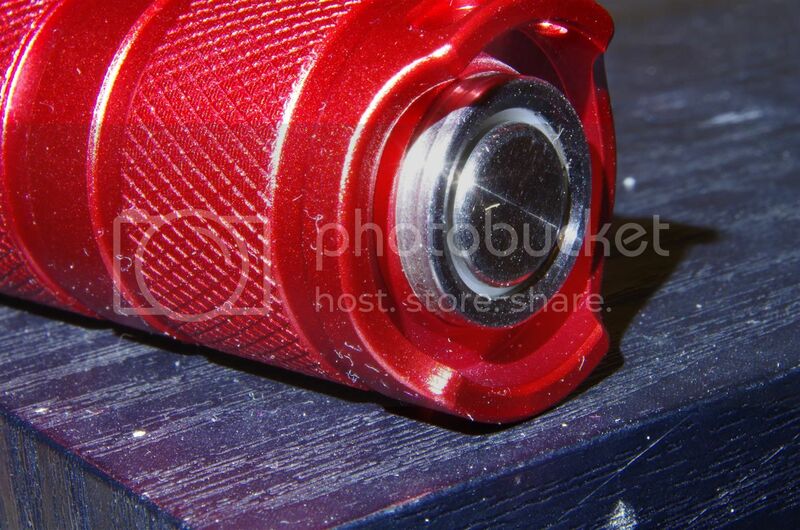 The S2+ is available in different colours, this is the wonderful new anodised red. It is a semi-matt finish and is flawless, while looking superb. And a refreshing change from the regular black anodising of most lights. The S2+ consists of 3 sections; head, body and tail cap. The threads are all square cut and the tail cap caters for lockout. 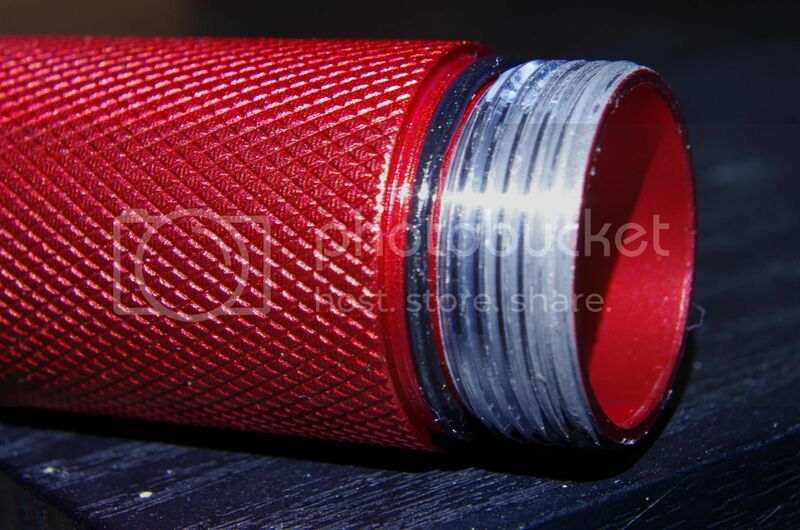 The knurling is mild, but sufficient for grip and makes it nicer in the pocket. 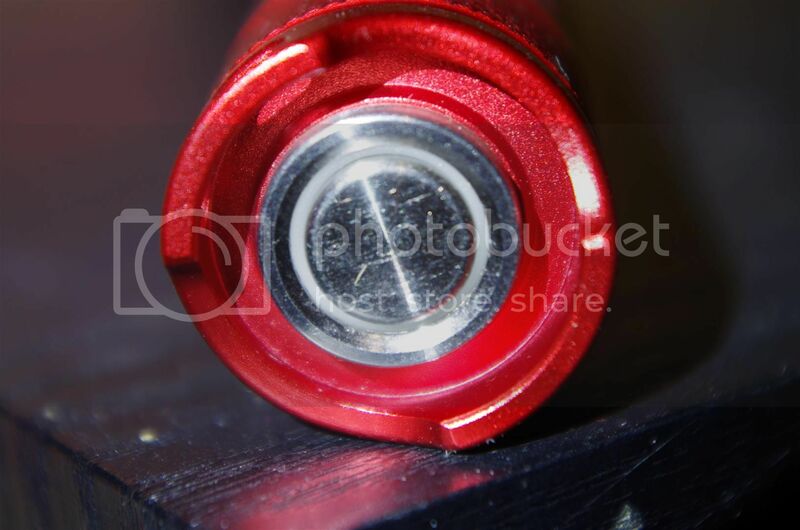 There are two holes on the tail cap for lanyard attachment, or if you prefer for the screw on Convoy pocket clip (something I wish was supplied with the light). The switch is recessed and allows easy, stable tail standing. The S2+ uses a shallow OP reflector. This offers up a lovely floody light, with smooth transition from hot spot to spill beam. Convoy offer several different emitter options for the S2+, from the latest high binned CW XM-Ls as well as Neutral and Warm White options. My example is a neutral 3B tint. And I have to say this is a wonderful tint, the beam shot photos below will really highlight this. But this tint offers great colours and depth but doesn’t look yellow or brown. When you can get a beam looking as good as this, it makes you wonder why some people still opt for CW emitters. Sadly there is no XP-G2 option for the S2+, it would lose its floodiness, but I think this emitter would work well in this size of light, if you require something with a little more throw. The switch deserves special mention. This is a new switch type for me, it’s a reverse clicky, but feels like a piston switch to use. Only the middle part of the switch moved in and out, while the outer section remains in place. The switch is wonderfully positive and smooth to use. And makes half click mode changes much easier than they are with the traditional rubber booted switches. I seriously hope to see this switch find a home on more Convoy flashlights. 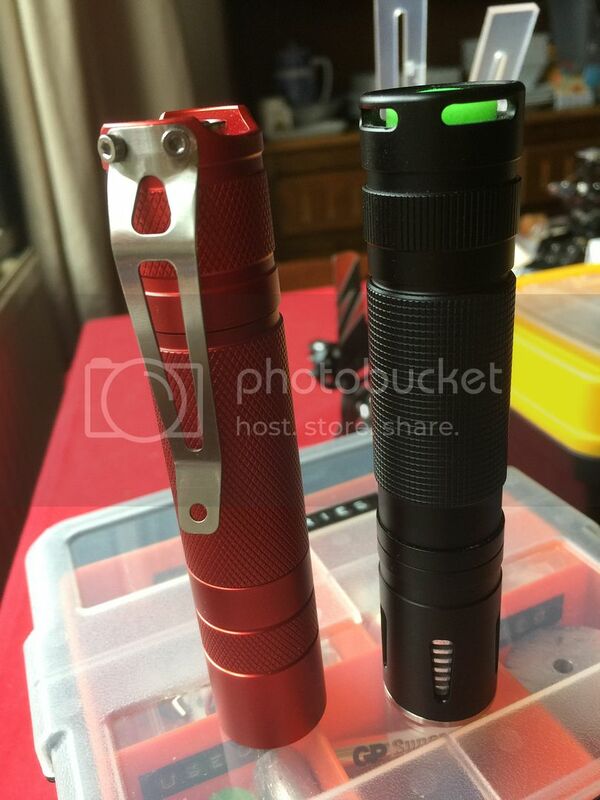 If I had to sight a single item about the S2+ that elevates is above other torches of similar ilk, then the switch is it, it really is that good. The S2+ uses the 105C based driver. As per the emitter, this is also customisable, from 3 to 8 7135 chips at the time of ordering. I opted for the 8*7135 driver, which should offer up a beefy 2.8amps to the LED. Giving the end user this easy ability without the need of a soldering iron is fantastic. The S2+ has the latest version of this driver, you’ll note older ones had stars on the underside to allow you to select different mode groups by soldering a star to the negative contact (as well as the method above). So according to my DMM, the 8*7135 driver does indeed offer up 2.8 amps as promised. Size wise the S2+ compares favourably with other tube style 18650 lights. I like the fact it is a smooth finish, this way nothing snags on clothing or your pocket as you carry it or use it. Not being supplied with a pocket clip means there is no anti roll device as standard, although you can purchase a sturdy pocket clip separately that would solve this. I have the clips on order as I type this, as I’m not a fan of a torch this size floating about in my jeans pocket and prefer to clip it to the inside of my pocket. If you prefer to carry the light in a coat pocket, this is a non-issue. I found the beam, tint and UI to all be great for EDC use. The low isn’t a moonlight, but it is a suitable low setting, and the floody beam would make this ideal for reading or map work with ease. On high it does heat up pretty fast, but outside with your hand round the torch it can run like this for semi long durations before you have to step down to mid. Being an XM-L2 in a small reflector the S2+ is nothing but floody, but one shouldn’t expect anything else. The 3B tint however and the smoothness of the beam are however very impressive. 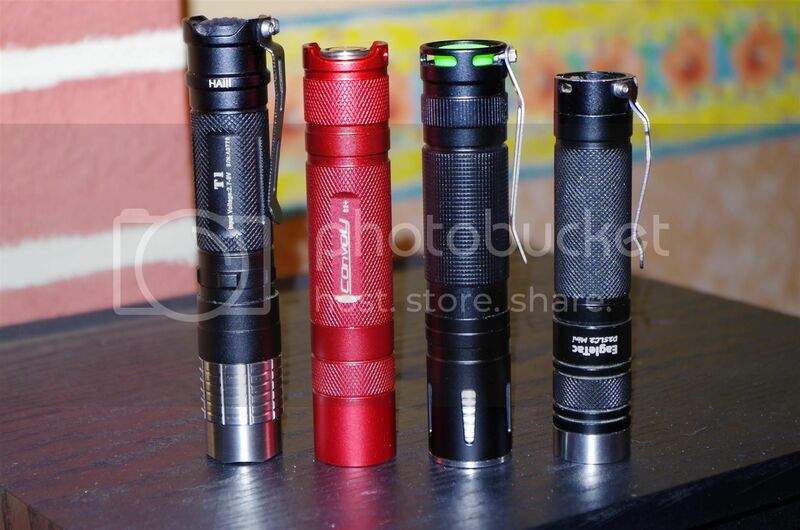 I decided to compare to S2+ to 3 other of my EDC 18650 lights. 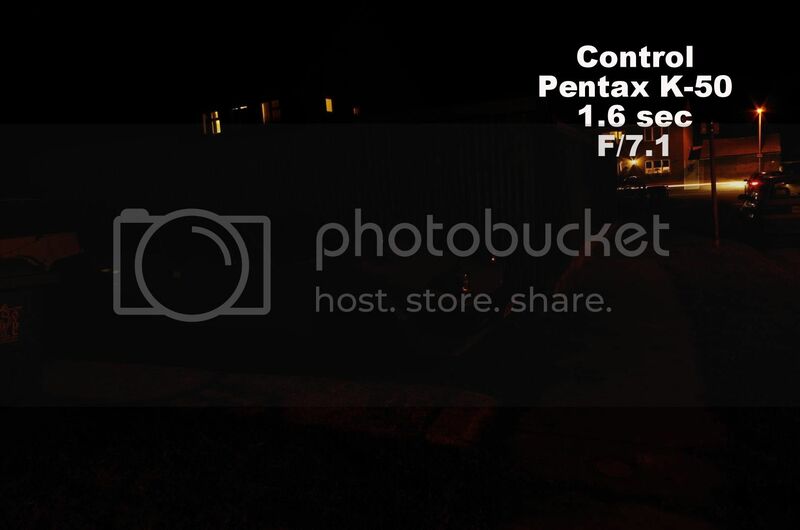 I compared it to these lights to give a comparison of beam profile, tint and price point. 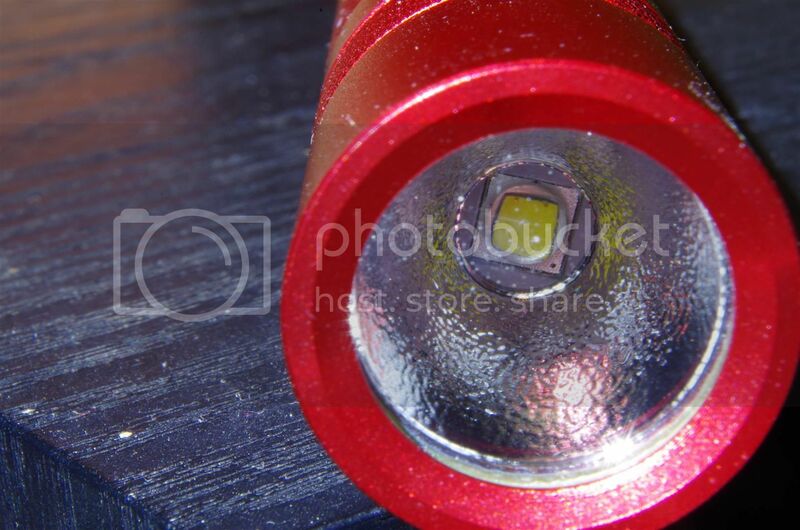 I think the 3B tint stands up well to the 92CRI Nichia and compares favourably to the output of the Lumintop. The XM-L2 doesn’t throw as well as the XP-G2 does, but no surprises there. But the beam is smooth and just look at how wide an area it illuminates. I have one of these bad boys on order. I went with eight chips and the 4C tint. While I personally love the 4C tint, I understand people just looking for the brightest will continue to use 1A. Simon…make these in black/silver…I WILL BUY THEM! Also I noticed on the smaller 18350 S2+ the 2 group driver in low DOES NOT have the nasty PWM flicker annoyance of many other EDC type lights, you guys definitely stepped up the useability of these drivers. If you need an EDC (and don’t mind the red) GET ONE OF THESE…Simon…make these in black and silver…and I will be buying more! Great review CD, love the beamshots on the red brick house. I would like to see how the switch is mounted. Thanks for the great review!!! I’ve been eyeing Convoy for a while now, the price is very attractive and the high praise I’ve been hearing will possibly make this my first 18650 light. I also like the fact that it comes in a color other than black!!! 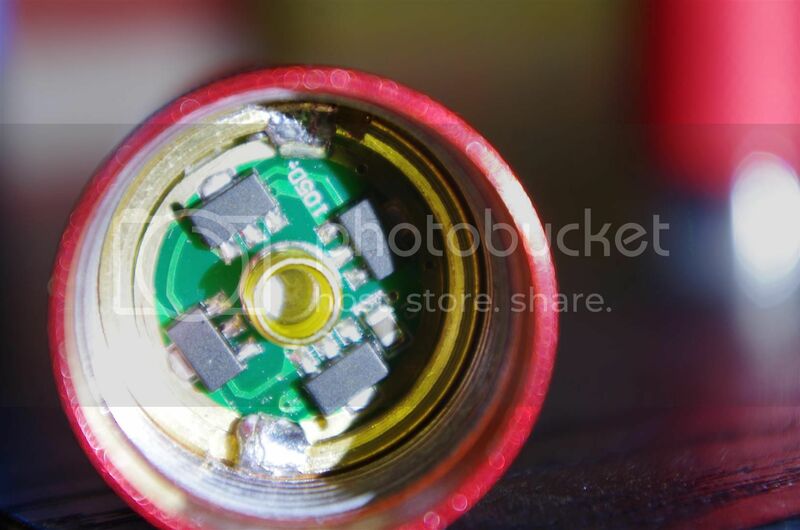 will possibly make this my first 18650 light. I also like the fact that it comes in a color other than black!!! I’m waiting that blue one too, looks like not yet available. Man that switch... Any chance we could buy the switch and metal cap separate to swap in current convoy S lights?!!? Mtnelectronics has a lot of pocket clips available, not much extra cost, weeks less shipping time! Do you have a link to the exact pocket clip you plan to use? I assume the same clips that the Convoy S4 uses will fit. 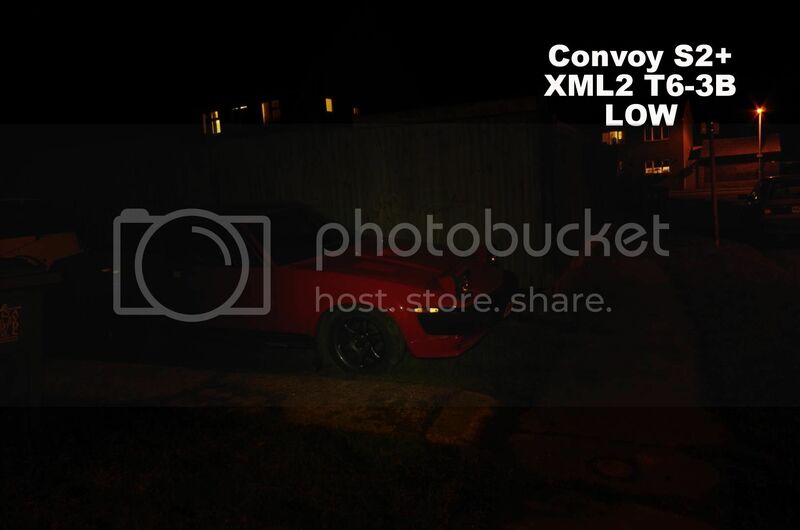 See the picture in the review of the other Convoy lights. I’ll report back on how they fit when they arrive. 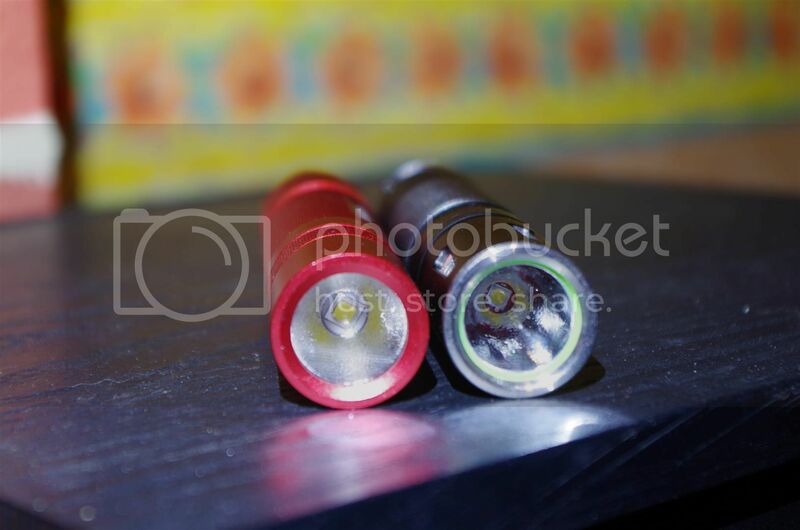 Just got a Red S2+ in from FastTech yesterday (1.4A, 4C tint) - awesome switch, totally agree. A friend at work, whom I show bout every light I own, said this switch was the best he felt of any of them. He ordered two same day. 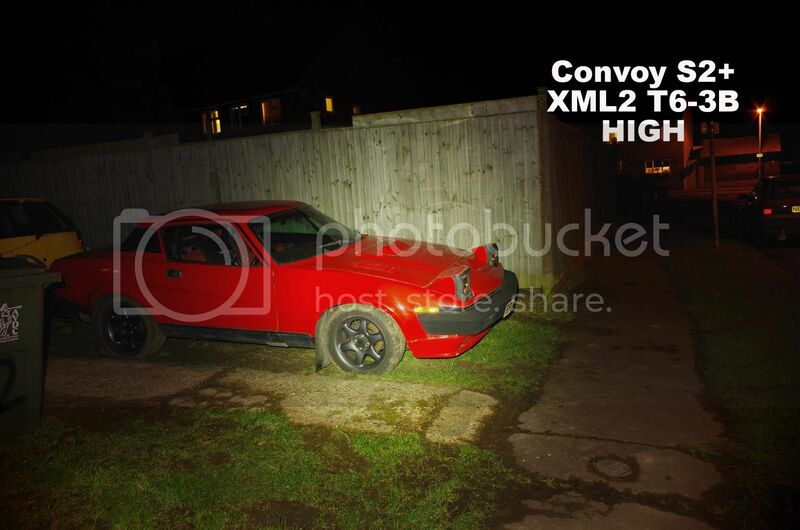 Man that switch… Any chance we could buy the switch and metal cap separate to swap in current convoy S lights?!!? Mtnelectronics has a lot of pocket clips available, not much extra cost, weeks less shipping time! Put that switch on the 18350 version in blue! Nice review. It makes me even more await the one I’ve ordered >4 weeks ago… The tracking still says “in transit” and it is not found yet in the German postal service. Many thanks for the review, Chicken Drumstick. I was looking for a relatively inexpensive and compact 18650 EDC, and this one seems ideal. I’ve just ordered the 1.4A / 3B version, along with the clips. Pictures of how the switch is mounted? I’m guessing its pressed in. I got an S2+ last week and it has been amazing, I ordered another one the next day. It may not be the smallest, but is just about perfect for what I need. I can’t imagine anyone being disapointed in it. The spill is great and throws better than expected. Maybe these are the same parts (steel switch) as the ones built-in the rechargeable Models like the Dipper BD03/BD04? Just took the clip off the S4 which is the same as the ones I ordered, and it fits the S2+ fine. 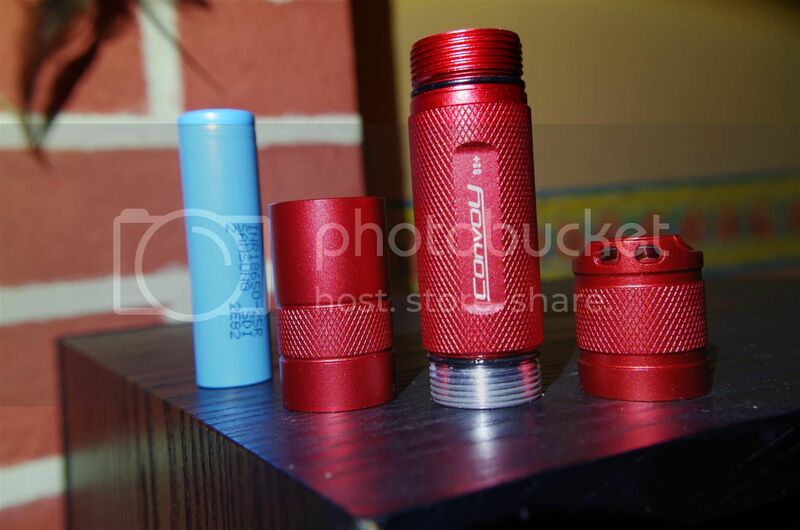 The tailcap housing is physically different btw for the red S2+. 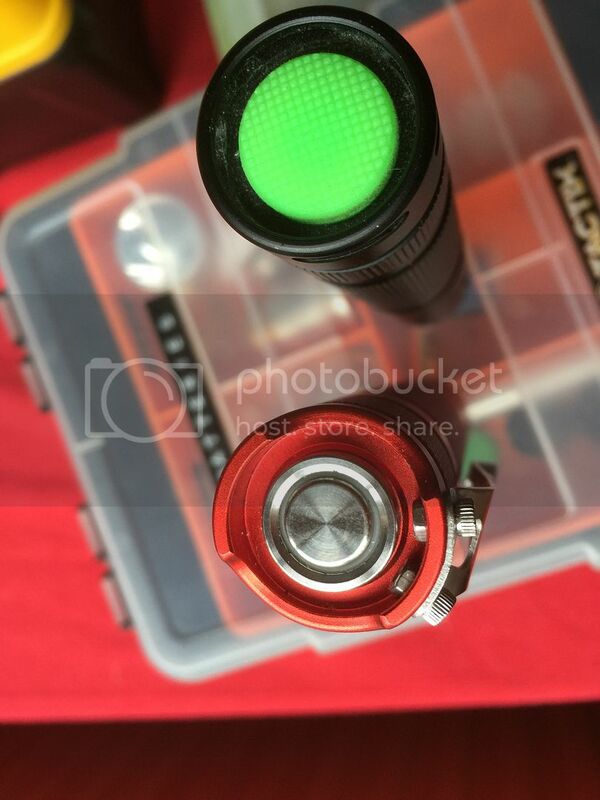 The last pic above shows it - that red ridge around the SS - it protrudes up -- that's not on a standard S2+ tailcap. So, I'm thinking it would not be possible (or the same) to get a SS button conversion kit for a conventional S2+ w/rubber boot. Is there a separate name for this S2+ it makes it confusing since the only difference seems to be the color and the tailcap? I agree they could use a better naming system. No flash used for any pictures in this review. Zeusray used on the indoor shots at it gets dark before I get home from work. Clip pics taken today in daylight. So the holes are not too big for those nuts in the clip? 4C's are also my favorite now, and the 5B1's I like, but no longer available at MtnE or IOS... Think I bought Richard's last one.